Exclusive! 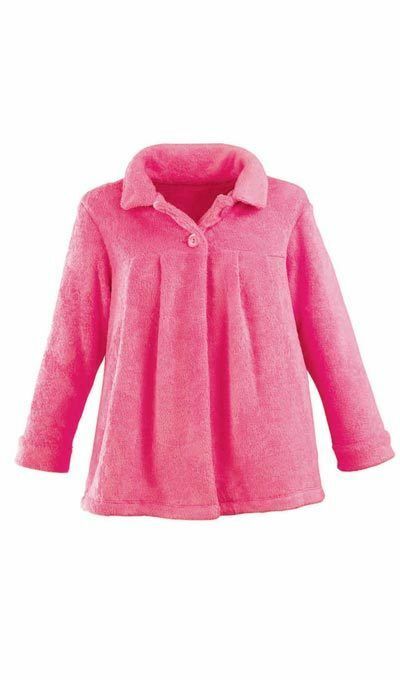 Plush, super soft polyester fleece. Easy, fashionable "swing" shape with round collar, two-button yoke, three-quarter sleeves. Machine wash. Imported. Misses, approx. 25"l. Hurry! Only one left! Love the unbelieveable softness and warmth - bought it for my Mom who just loves it. Ordering another one today.